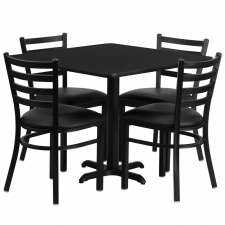 Starting At $365.99 + Free Shipping! 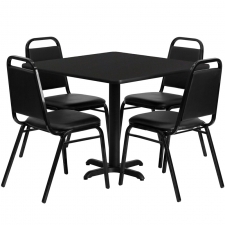 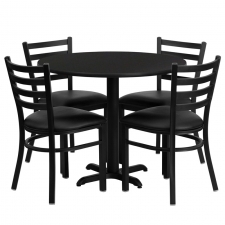 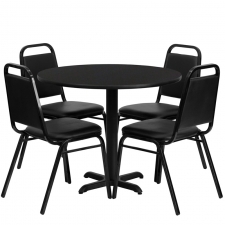 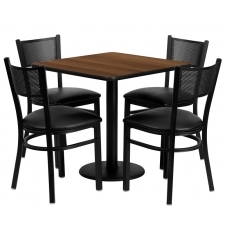 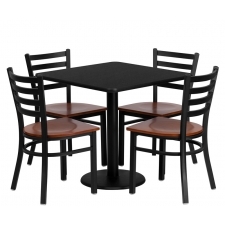 Give your office's breakroom a stylish makeover with the BTOD 30" Round Top Dining Height Breakroom Table Set. 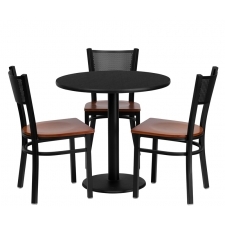 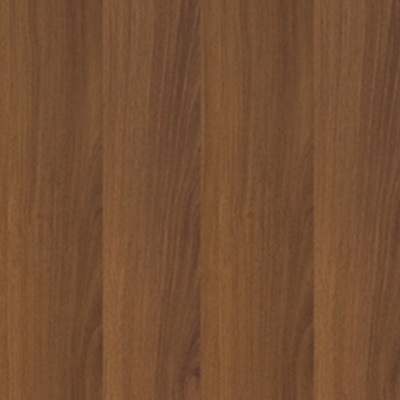 The tabletop comes in four unique finishes  black, mahogany, natural, or walnut  so you can match your table to the rest of the décor. 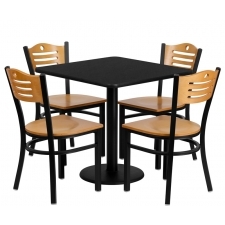 The set of four matching ladder back metal chairs are beautiful as well as comfortable. 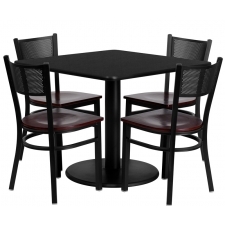 Choose either black or burgundy for the padded vinyl seats, and decide if you like a round or X-shaped base for the table. 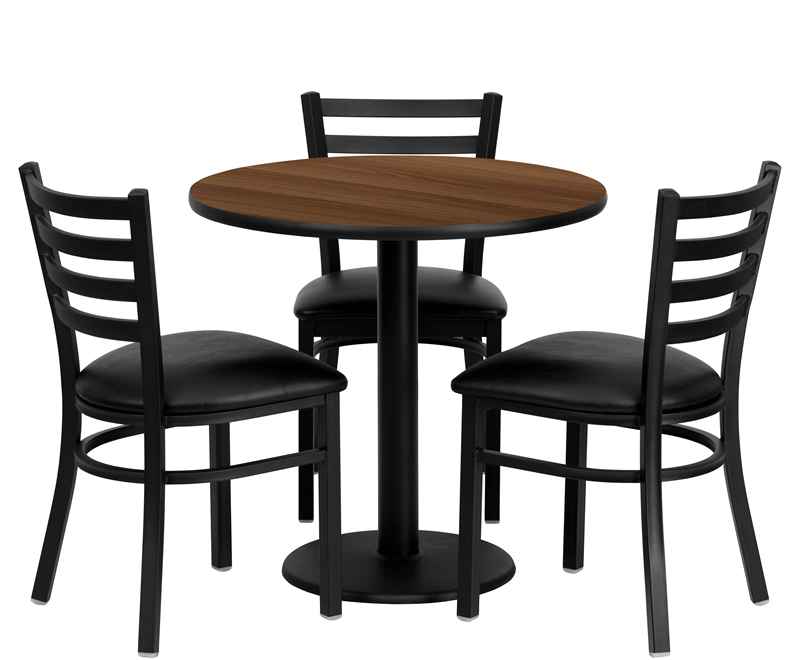 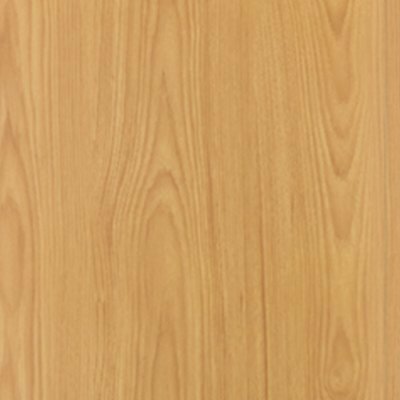 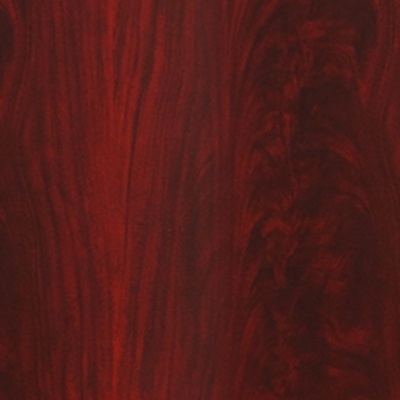 With so many customization options, you are sure to get the exact look you want for your office.